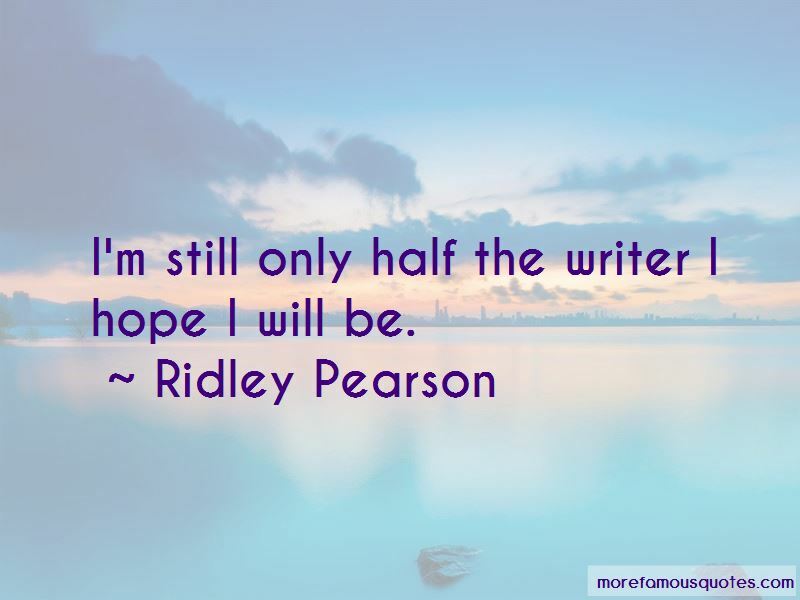 Enjoy the top 55 famous quotes, sayings and quotations by Ridley Pearson. “Smee, you are a supreme idjit." Philby answered,"Only the most powerful villian Walt Disney ever created. “Being a fiction writer is really like being an actor, because if you're going to write convincingly it has to sound right and play right. The only way that works is to emotionally and technically act out and see the scene you're in. Especially with four insanely angry, sword-carrying pirates bearing down on you, followed closely by an alien with a genetic malfunction that posed like Elvis Presley and looked slightly like a cross between a koala and a cuddly dog. “He likes you, too." Finn repeated. "And don't tell me to shut up." “What is that in his hand?" "He does not look happy." "Are you sure it's a he?" “Finn whispered, "What has a head, thorax, and abdomen, but stands six feet tall?" They're sending us fake notes. They're threatening our lives. Now, supposedly the of us, as Disney Hosts, represent some serious financials for the company. Why else would they install us on your ship? Give us a free cruise? We make them money: as guides, with merchandise, video games, books." "We're waiting for the movie," Finn added. The crowd groaned. "Nice job doofus!" Finn said. "If this is the work of the Overtakers, we've never seen anything like it." "It is," a voice said behind them. Maybeck slipped in alongside of them. "You about scared the pee out of me!" Charlene complained. One thing I'd learned growing up was that no matter who claimed you, you had to first claim yourself. The weirdest thing can squirrel an investigation Never speak ill of the dead, and never, ever, claim you've got a suspect until the court case is over and he's behind bars. “Mistake number one: don't ever expect a woman to do what you think she's going to do. Few battles are won by strength alone. Cunning and knowing your resources can help you overpower the most powerful. My favorite novel is 'To Kill a Mockingbird' because of its broad sweep, its tackling of big issues in ways that even young minds can make sense of and for the heart of the characters, who span a wide range of ages. I reread it every year. 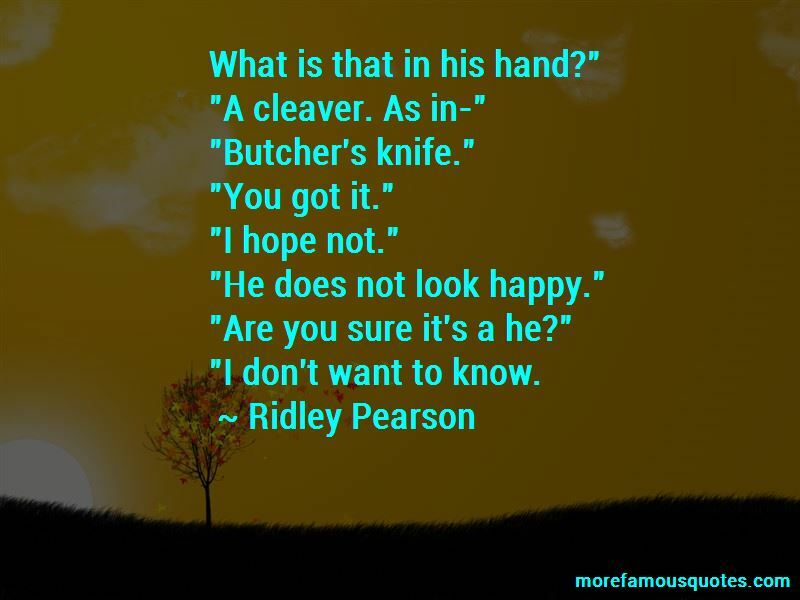 Want to see more pictures of Ridley Pearson quotes? 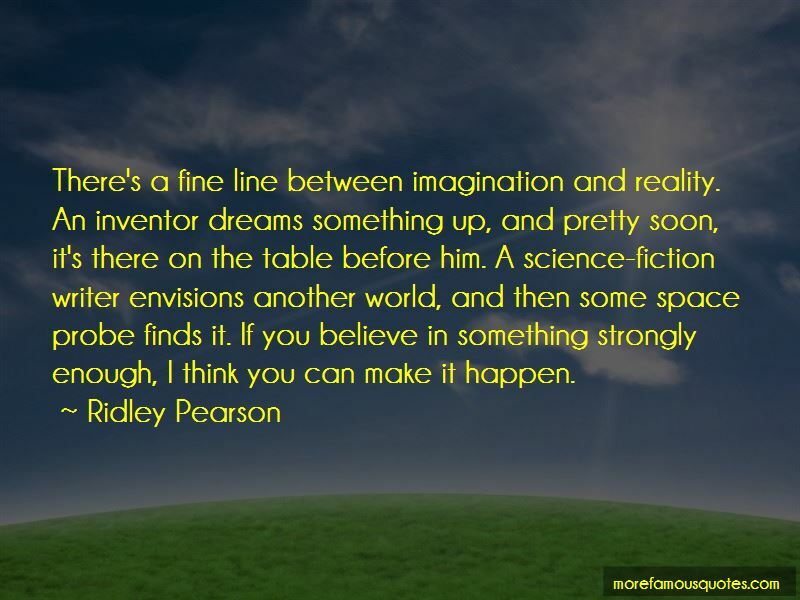 Click on image of Ridley Pearson quotes to view full size.